Croatia's Defense Ministry announced today that the a contingent of 30 Croatian soldiers has been sent to Kosovo in support of NATO's peace-keeping operation. 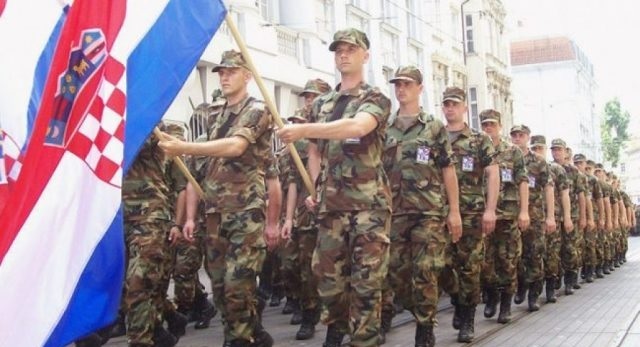 The contingent of 30 Croatian soldiers from the barracks Knez Trpimir in Divulj near Trogir was sent to NATO's peacekeeping operation in Kosovo, where Croatian forces have taken part in the last 10 years. The contingent's departure is accompanied by the head of the 93rd Air Unit, Colonel Boris Panic, who noted that the Croatian Air Force (HRZ) has been constantly participating since 2009 in the mission in Kosovo. The commander 30th contingent, Colonel Stjepan Stepić said that the soldiers are well experienced and ready for another mission. "For the last ten years, our members have contributed to the construction and maintenance of peace and stability in the Republic of Kosovo under the auspices of the NATO operation and our role is also to confirm the full commitment of this time to the success of the mission and to to introduce our country with dignity and honor," Stepić said. The basic task of Croatian soldiers at the American base Bondstil in Ferizaj is the transportation of persons and cargo, Croatian authorities revealed.